In a previous post, I blogged about my coming trip to Bali. Now, I'll be the first to admit that I don't look good without some colour on me! So I've been looking around for some waterproof makeup so I don't look too washed out. Waterproof makeup is hard to find! There are so many products out there that are advertised as waterproof, but after testing, turned out to be ineffective. So I did a little bit of research, and read reviews and articles, and finally came up with a list of the best products to purchase if you're looking for waterproof makeup. These only come in Light Brown, Brown, and Dark Brown, but I'm partial to Asian brands because they cater very well to Asian skin and colouring. This pencil comes in quite a variety of colours. It is sweat-proof, smudge-proof, and best of all, waterproof. There isn't a lot of product, but people have compared this in performance to MAC and Dior. This eyeliner stays on all day, against sweat and heat and water. 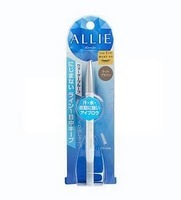 It also has a felt-like tip that makes application very easy for those who don't have the steadiest hands. This is a little more high-end, but worth it if you can afford it! 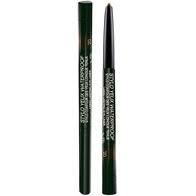 It has intense colour, and delivers a strong, long-lasting line that is waterproof and very easy to apply. Apart from being waterproof, this version of CoverGirl's mascara is also said to hold curls really well. There are very few waterproof blushers that are actually waterproof, and I have discovered that the best way to get long-lasting, waterproof colour on your cheeks is by using a cheek stain. This is waterproof, and one of the best cheek stains on the market. They have a lighter, pinker version called Posietint, if you're so inclined. 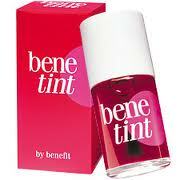 It is a brighter, more pastel colour compared to Benetint's rose flush. 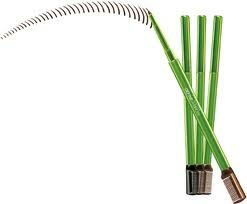 And those are my waterproof beauty picks!